South Leeds will see some changes amongst its representatives on Leeds City Council next May even if Labour hold onto all nine local seats. 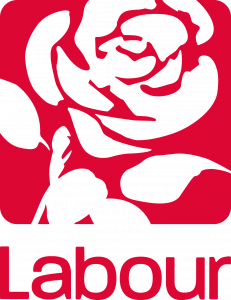 The Labour Party has been holding meetings in each ward to select the candidates that will fight the local election on 3 May 2018. Next May’s elections are unusual in that all 99 seats on the council are up for election, so each ward has selected three candidates. Councillors Adam Ogilvie and David Congreve in Beeston & Holbeck ward had signalled some time ago that they would stand down this year. South Leeds Life understands that Cllr Patrick Davey was not nominated. Of course other political parties will be fielding candidates in the May elections so there is no guarantee that these candidates will be Councillors on 4 May. It is up to all of us to vote for the candidates we support. I’m particularly glad that Kim Groves was re-selected, though it is a shame Adam has decided not to continue. David Congreve was a waste of space and thus anyone would be an improvement. Adam has been a great example of how to be community Cllr (as have the reselected candidates) and he’s been a role model for many of us. It’s a loss to South Leeds and the wider city – he’s had two decades of service to be proud of.